Public Welcome! Back to the Wild Program & Picnic! Weʼll start with a guided tour of the wildlife rehabilitation center followed by a potluck at the picnic shelter right there on the grounds. Bring your own beverage and place setting and a dish to share. There is no cost, but BttW does appreciate your donation! 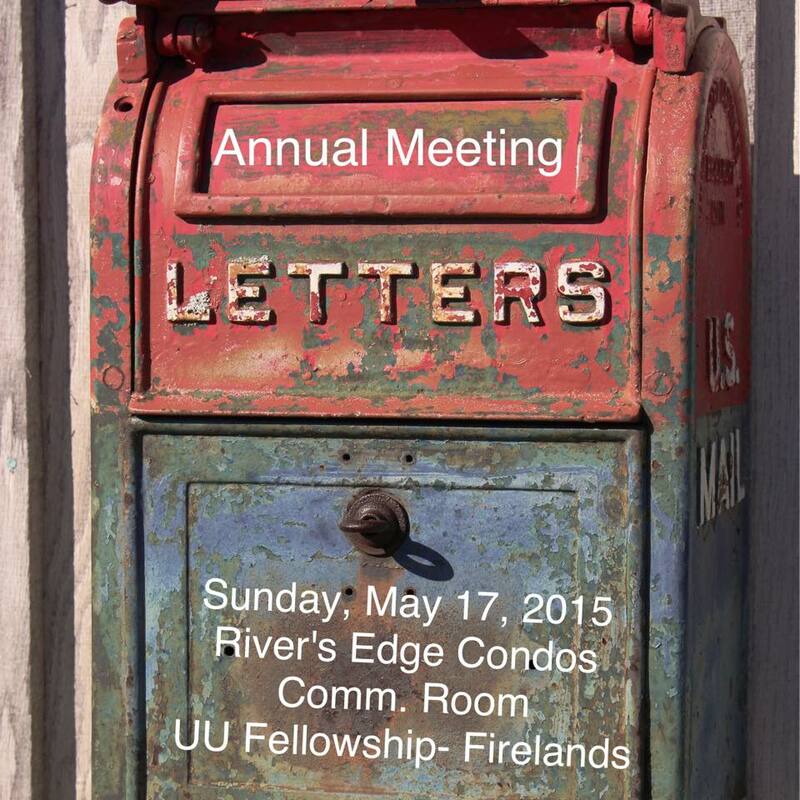 ANNUAL MEETING & POTLUCK 10:30 AM Sunday, May 17 Riverʼs Edge Condominiums Community Room (From Route 2 take the Route 13 EXIT and head north. The condo development entrance is in the 1000 block, on the east side of the road, and the community room is at the entrance.) The Fellowship will supply coffee, tea and some white and red wine. Please bring anything else you would like to drink and a dish to share. As usual, weʼll start with our business meeting, followed by our potluck.